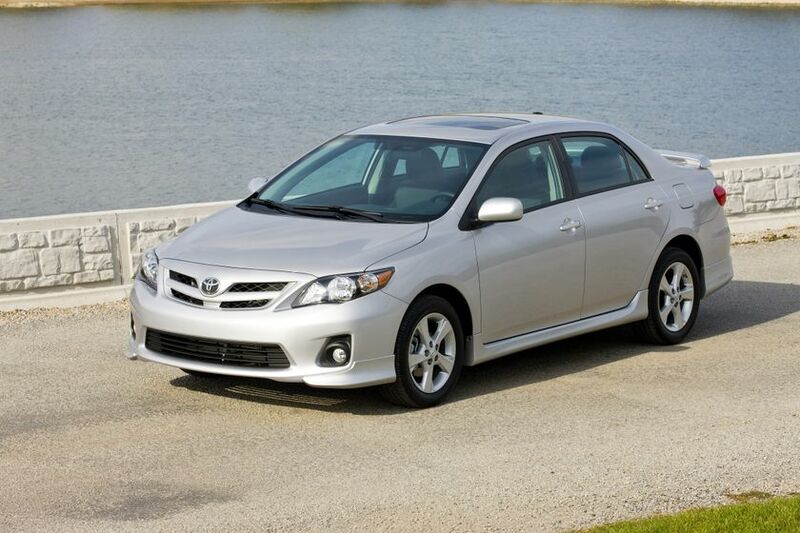 (TORONTO) – The Corolla returns in 2012 to deliver reliability, excellent fuel efficiency, safety and exceptional value. With the 2012 models, Canadian drivers can enjoy better-than-ever Corolla value as Toyota Canada adds standard equipment to all trim levels while dropping the MSRP on most – including Canada’s most popular model, the Toyota Corolla CE with Enhanced Convenience Package. The Corolla CE with Enhanced Convenience Package receives $648 worth of upgrades for 2012, including a six-speaker audio system with steering wheel-mounted controls, Bluetooth capability and heated seats – even as the MSRP drops on this popular model by $500, to $17,945. The MSRP on the Corolla CE with Convenience Package drops by $535 while adding an upgraded six-speaker audio system with integrated Bluetooth and steering wheel-mounted audio controls. The Corolla S receives a new audio system, while the MSRP drops by $360, to $20,455. The Corolla S with Moonroof Package now includes automatic headlamps, automatic climate control and seats with colour contrast stitching, while the Corolla S with Leather and Moonroof Package now features the Smart Key System with Push Button Start. The Corolla XRS is now available in a single, fully-equipped version. Compared to last year’s equivalent model, this top-line Corolla now feature automatic headlamps and automatic climate control as standard features and leather seat surfaces, while the MSRP drops by $170 to $24,840. The Corolla LE receives the biggest suite of updates – more than $1,400 worth, including Bluetooth, moon roof and heated seats – for a modest increase in MSRP of $325 to $20,990. The Corolla LE and Corolla S receive new Navigation packages. The Corolla S Navigation package starts at $25,110 and features Leather and Moonroof package plus Bluetooth Steering Wheel Controls, Display Audio with Navigation, 6.1-inch display audio, SMS and email-to-speech recognition, phonebook and streaming audio, XM satellite radio and display of artist, song and art for connected iPod. The LE starts at $24,740 and features the premium package plus the features listed above. The 2012 Toyota Corolla CE, Corolla LE and Corolla S models are powered by a 132-horsepower, 1.8-litre 4-cylinder engine with Dual Variable Valve Timing with intelligence (Dual VVT-i) that delivers performance and efficiency. For even more impressive performance, the 2012 Corolla XRS is fitted with a 158-horsepower, 2.4-litre 4-cylinder engine with Variable Valve Timing with intelligence (VVT-i). Both engines feature a Direct Ignition System (DIS), and Electronic Throttle Control System with intelligence (ETCS-i) to maximize power while minimizing fuel use, and both achieve a Tier 2 Bin 5 emissions rating. The Corolla CE, Corolla S and Corolla XRS are standard equipped with a five-speed manual transmission. The Corolla LE is fitted with a four-speed automatic with overdrive, which is also available for the Corolla CE and Corolla S. The Corolla XRS is available with a five-speed automatic with overdrive and sequential multi-mode shifter. Driving confidence is assured with responsive steering and a smooth ride. Electric power steering is quick and precise at all speeds, while boosting fuel efficiency and reducing maintenance costs. Up front, Corolla’s MacPherson struts are optimized to reduce vibration while a light, compact torsion beam suspension holds the rear. Both feature coil springs and are enhanced with stabilizer bars, while the XRS model’s suspension benefits from road-hugging sport-tuning for fun-to-drive handling and agility. Anchor points for child-restraint seats and child protector rear door locks. The Toyota Corolla CE is generously equipped with many standard features, including: An audio system with AM/FM stereo/CD with mp3/WMA capability, auxiliary input jack for portable music players, and four speakers; Fabric-covered front bucket seats; Fabric door trim; 15” steel wheels with full wheel covers; front and rear splash guards and intermittent wipers. The Corolla CE may be ordered with a Convenience Package, which adds: Air conditioning; An enhanced, six-speaker audio system with Bluetooth connectivity, a USB audio input, and steering wheel-mounted audio controls; Power door locks with keyless entry; And more. The Corolla CE may also be ordered with an Enhanced Convenience Package, which adds everything in the Convenience Package, plus: Heated front seats; Power windows with driver’s side auto-down function; And Cruise control. The Toyota Corolla LE adds many class-up touches, including: An audio system with AM/FM stereo/CD with mp3/WMA capability, auxiliary input jack and USB audio input for portable music players, Bluetooth capability, steering wheel-mounted audio controls, and six speakers; Air conditioning; Cruise control; Fabric-covered heated front bucket seats; Power door locks with keyless entry; Power Windows with driver’s side auto-down function; Metallic dash accents; A storage pocket on the back of the front passenger seat; 16” aluminum alloy wheels with locks; A power moon roof with sunshade; Front and rear splash guards; Variable intermittent wipers and Fog lamps. The Corolla LE may be ordered with the Upgrade Package, which adds: Automatic air conditioning; Automatic headlamp system and the Smart Key System with Push Button Start. The Corolla LE may also be ordered with the Premium Package, which adds: Automatic air conditioning; The Smart Key System with Push Button Start; A leather-wrapped steering wheel and shift knob; An eight-way power adjustable driver’s seat; Automatic headlamp system and woodgrain interior trim. The Corolla LE also has a new Navigation Package that features the Premium Package plus Bluetooth Steering Wheel Controls, Display Audio with Navigation, 6.1-inch display audio, SMS and email-to-speech recognition, phonebook and streaming audio, XM satellite radio and display of artist, song and art for connected iPod. The Toyota Corolla S adds a sporty flair to this popular compact, with: An audio system with AM/FM stereo/CD with mp3/WMA capability, auxiliary input jack and USB audio input for portable music players, Bluetooth capability, steering wheel-mounted audio controls, and six speakers; Air conditioning; Cruise control; Front sport seats covered in sport fabric; Power door locks with keyless entry; Power Windows with driver’s side auto-down function; Unique scuff plates; Leather-wrapped steering wheel; Fabric door trim; 16” aluminum alloy wheels with locks; A full skirt package; Chrome exhaust tip; Rear Spoiler; Variable intermittent wipers; Black headlamp surround; Fog lamps, and more. The Corolla S may be ordered with a Moon Roof Package, which adds: A power moon roof; automatic headlamp system and automatic air conditioning. The Corolla S may also be ordered with a Leather and Moon Roof Package, which adds: A power moon roof; Automatic air conditioning; Automatic headlamp system; Leather seat surfaces; Heated front seats; And the Smart Key System with Push Button Start. The Corolla S comes with a new Navigation Package that features the Leather and Moon Roof Package plus Bluetooth Steering Wheel Controls, Display Audio with Navigation, 6.1-inch display audio, SMS and email-to-speech recognition, phonebook and streaming audio, XM satellite radio and display of artist, song and art for connected iPod. The Toyota Corolla XRS delivers sporty performance and style, including: An audio system with AM/FM stereo/CD with mp3/WMA capability, auxiliary input jack and USB audio input for portable music players, Bluetooth capability, steering wheel-mounted audio controls, and six speakers; Air conditioning with automatic temperature control; Cruise control; Heated front sport seats; Full leather seat coverings; Power door locks with keyless entry; Power Windows with driver’s side auto-down function; Electrochromatic rear view mirror with integrated digital compass; Leather-wrapped steering wheel; Leather door trim; XRS scuff plates; Metallic dash accents; 17” aluminum alloy wheels with locks; Power moon roof with sunshade; A full skirt package; Chrome exhaust tip; Rear Spoiler; Variable intermittent wipers; Black headlamp surround; Fog lamps, and more. The 2012 Toyota Corolla is now on sale at Canadian Toyota Dealers. The Corolla CE carries a manufacturer’s suggested retail price starting at $15,450; the suggested starting price for the Corolla LE is $20,990; The Corolla S starts at a suggested $20,455; and the Corolla XRS carries an MSRP starting at $24,840. Toyota Canada Inc. (TCI) is the exclusive Canadian distributor of Toyota, Lexus and Scion cars, SUVs and trucks. Toyota is the first full-line manufacturer to make all of the elements of the Star Safety System standard on every vehicle starting in 2011. The Star Safety System includes Vehicle Stability Control (VSC), Traction Control (TRAC), Anti-lock Brake System (ABS), Electronic Brake-force Distribution (EBD), Brake Assist (BA) and Smart Stop Technology (SST). TCI’s head office is in Toronto, with regional offices in Vancouver, Calgary, Montreal and Halifax and parts distribution centres in Toronto and Vancouver.